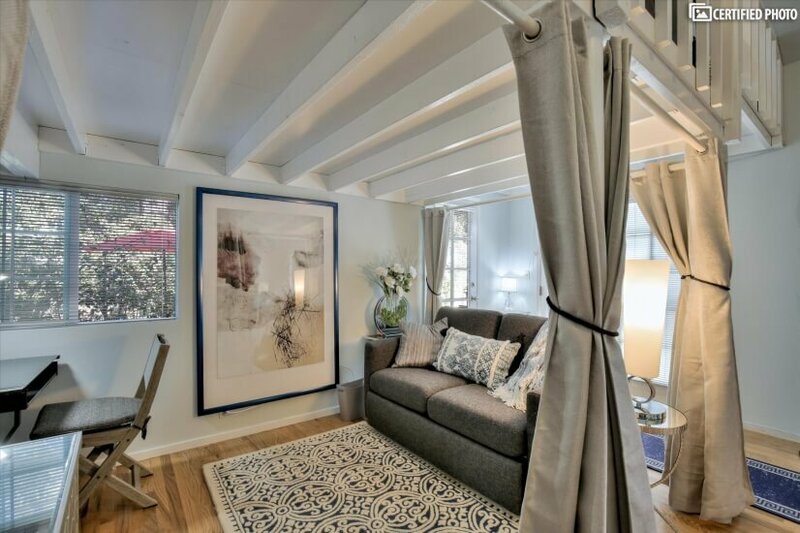 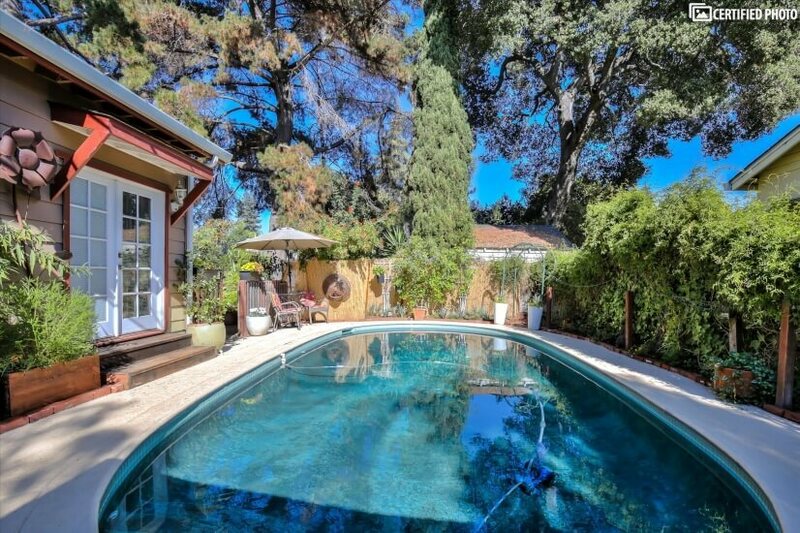 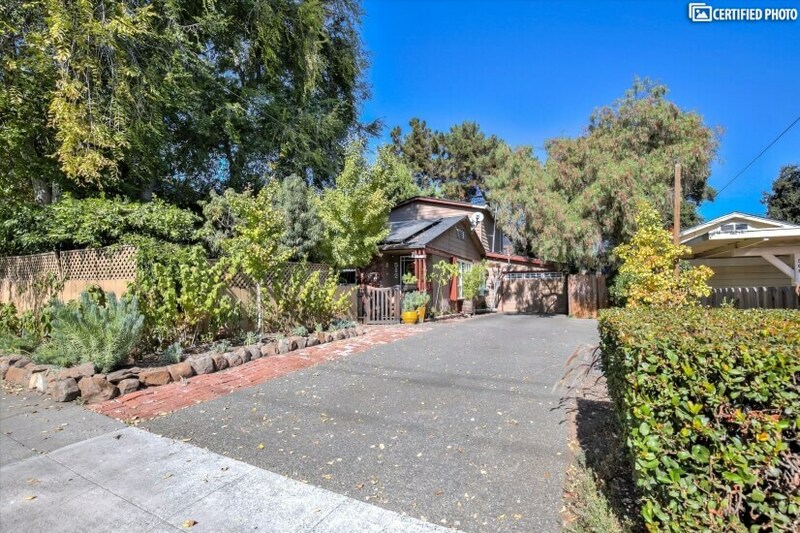 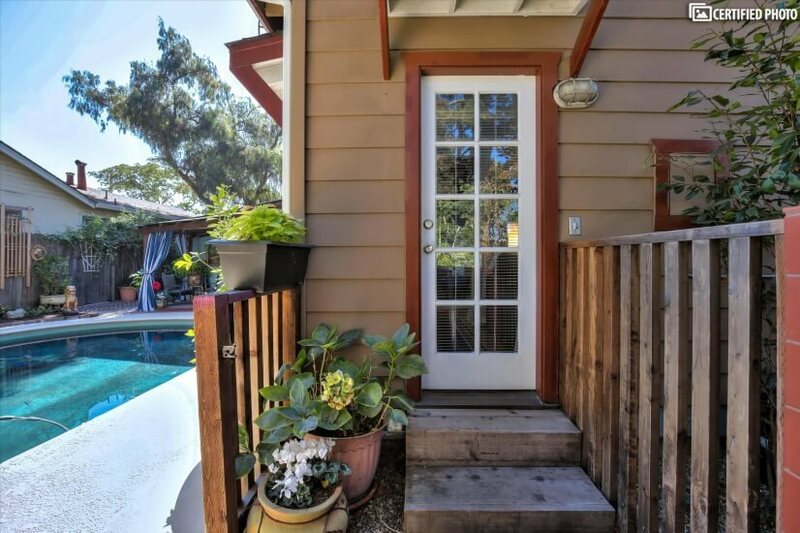 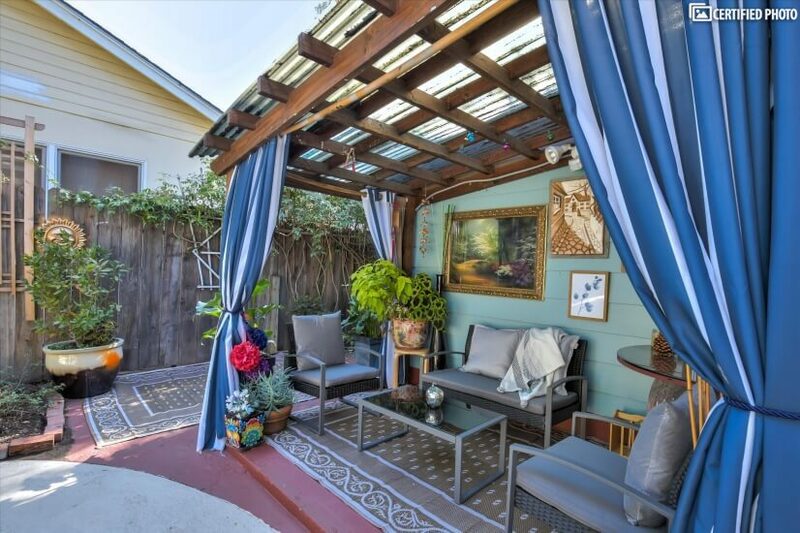 Situated in the charming Menlo Park area of Palo Alto, CA, this Silicon Valley corporate housing property is a visual delight located minutes from key employers, shopping, entertainment, and more. 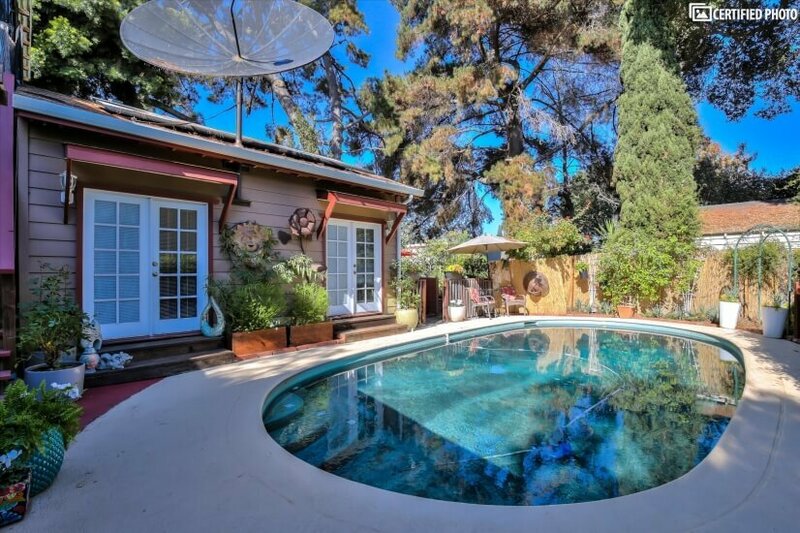 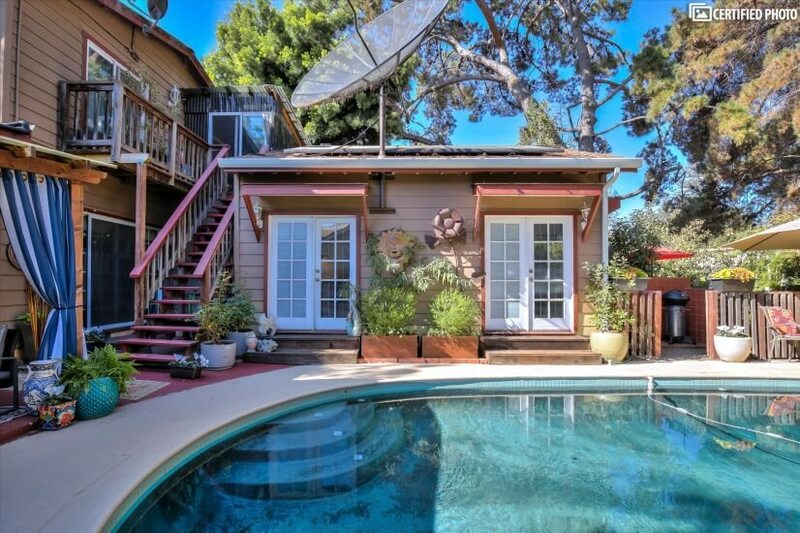 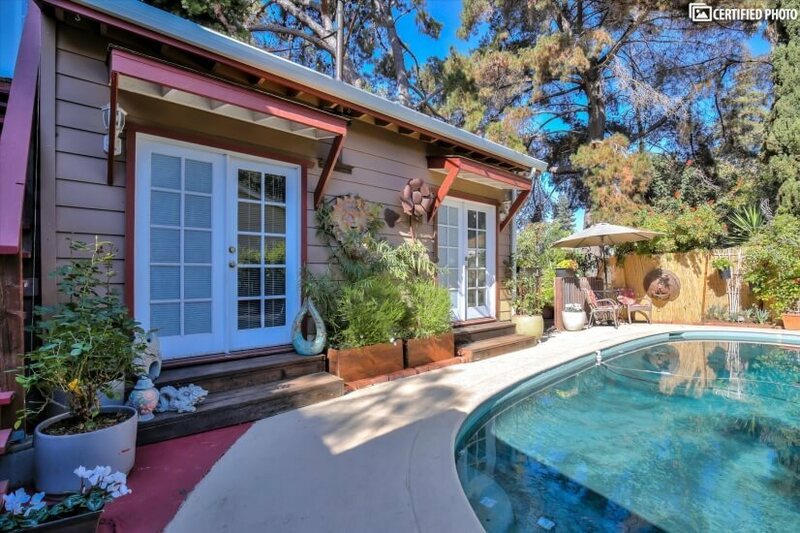 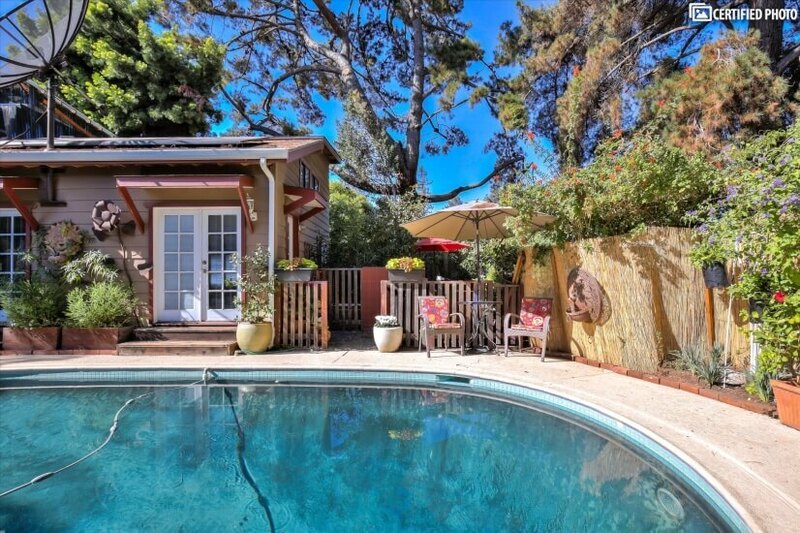 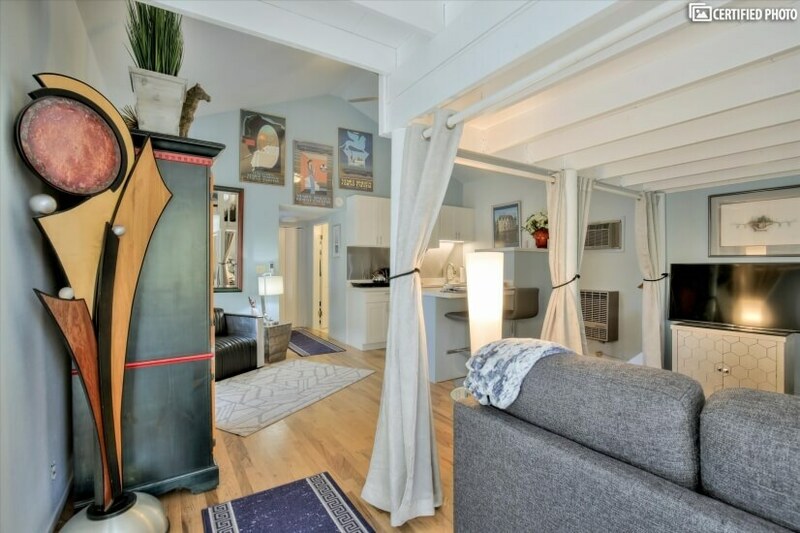 Yet, it is also an amenities-rich cottage ideal for those seeking a home-like Silicon Valley furnished rental to retreat to after a busy day of work or travel. 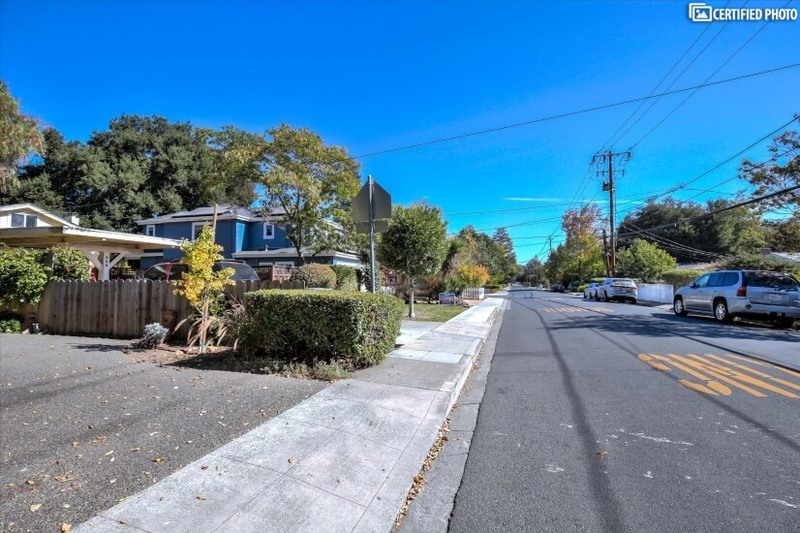 Though situated within a quiet, tree-lined residential neighborhood, this Silicon Valley corporate housing is only a five-minute bike ride to Facebook offices, and 15 minutes by car to such key locations as Stanford University, Google, Intuit, E*Trade and more. 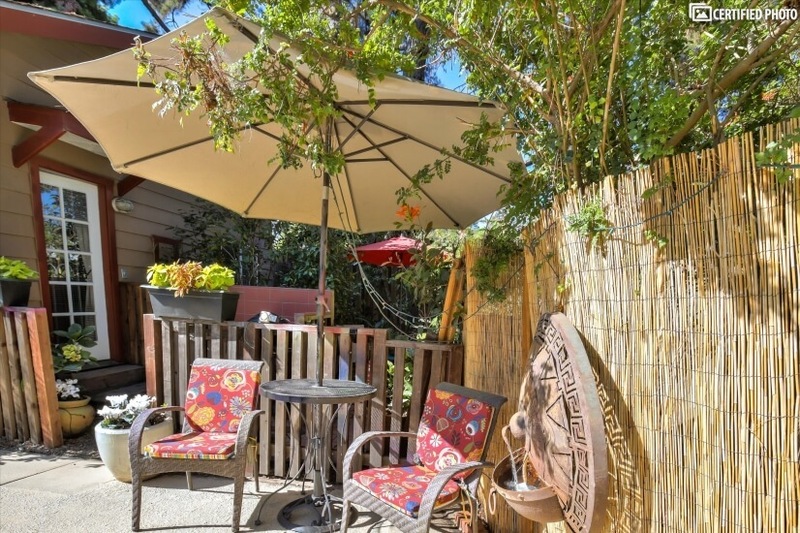 In fact, some of the largest Silicon Valley employers are within minutes of this Silicon Valley furnished rental, including Sun Microsystems, GuideSpark, PRO Unlimited and many more. 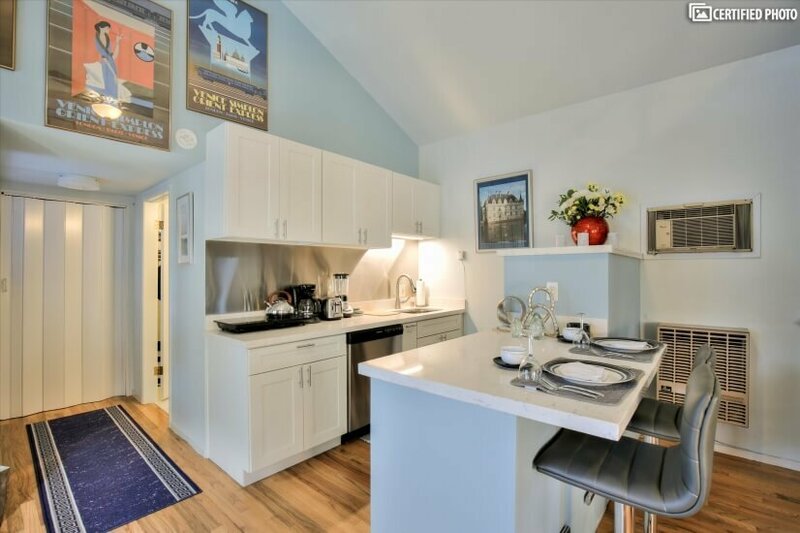 And if you are eager to be within easy reach of premium shops and restaurants, you will love that you are but a short drive from major retailers as well as local markets. 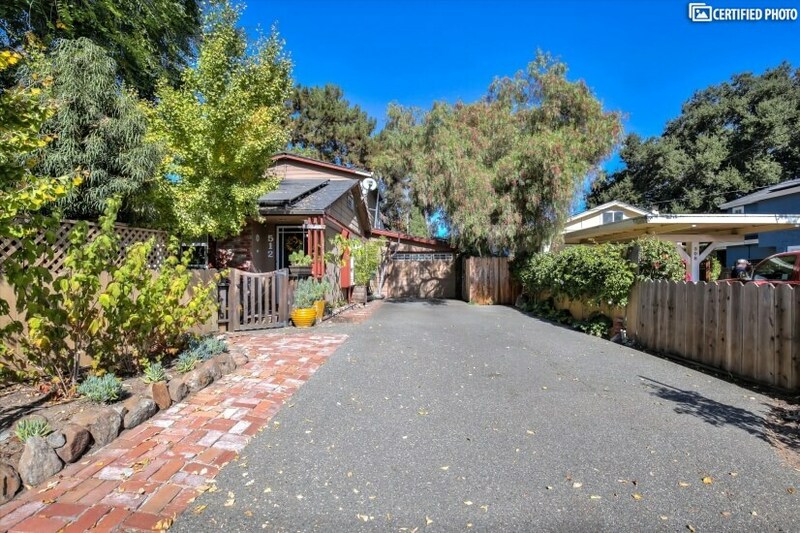 With a large, private driveway, you need never worry about parking. 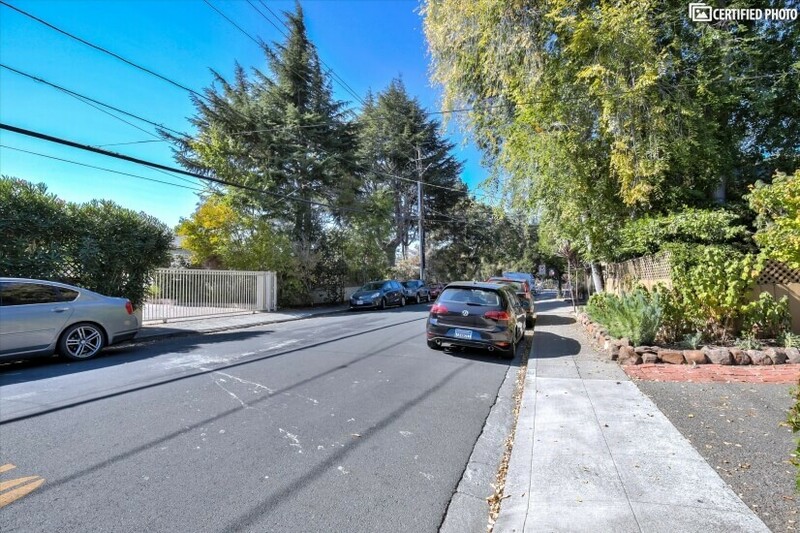 Yet, public transportation hubs are within walking distance, too! 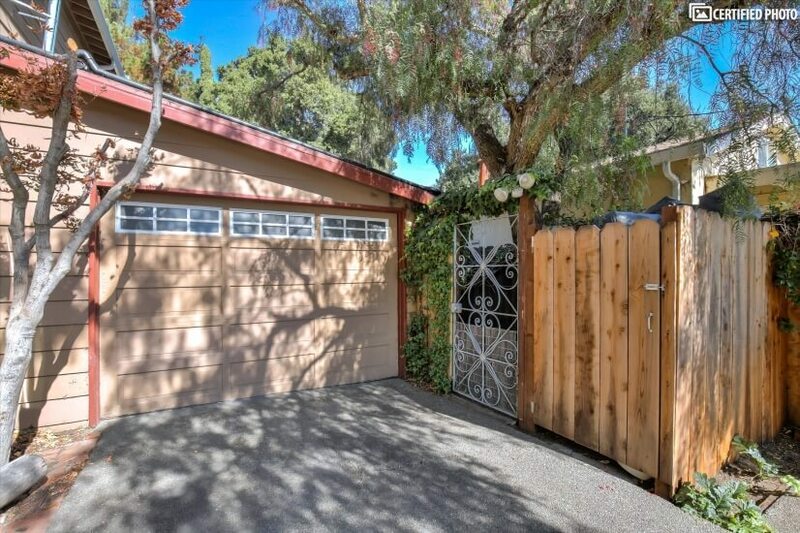 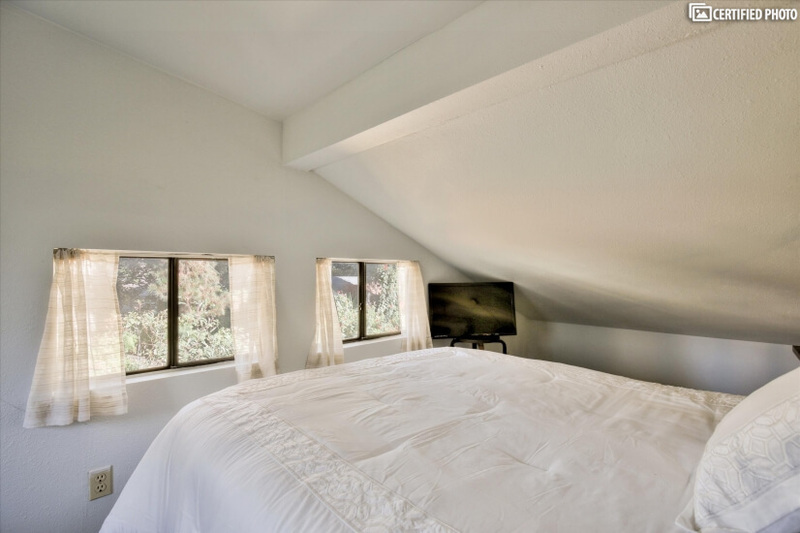 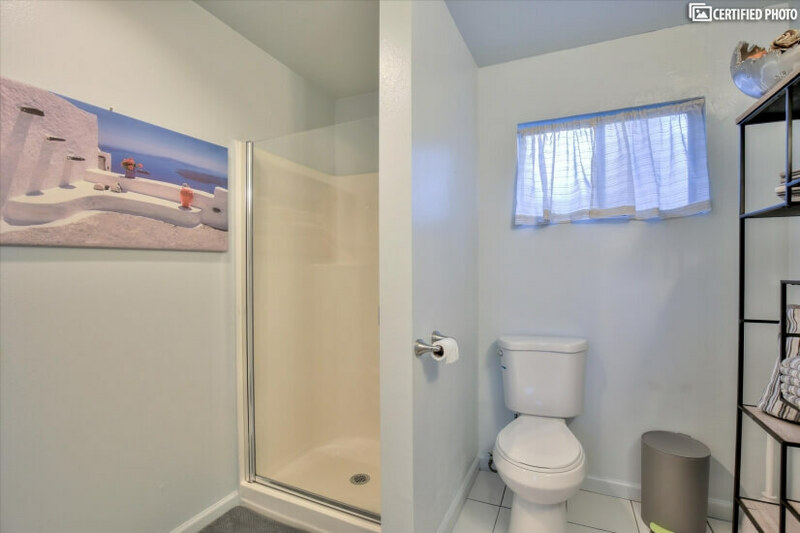 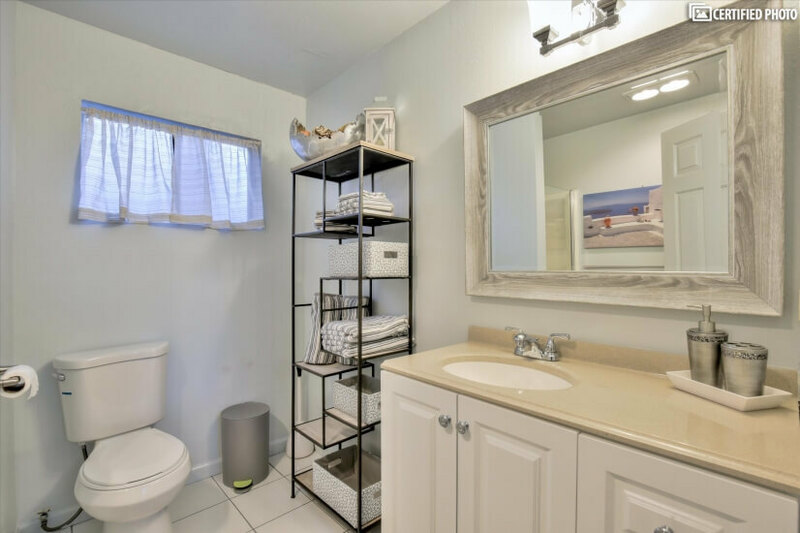 And as to the Silicon Valley corporate housing property itself, it is a wonderfully designed cottage with a loft-style bedroom, lots of sunlight and premium amenities often reserved for much larger homes. 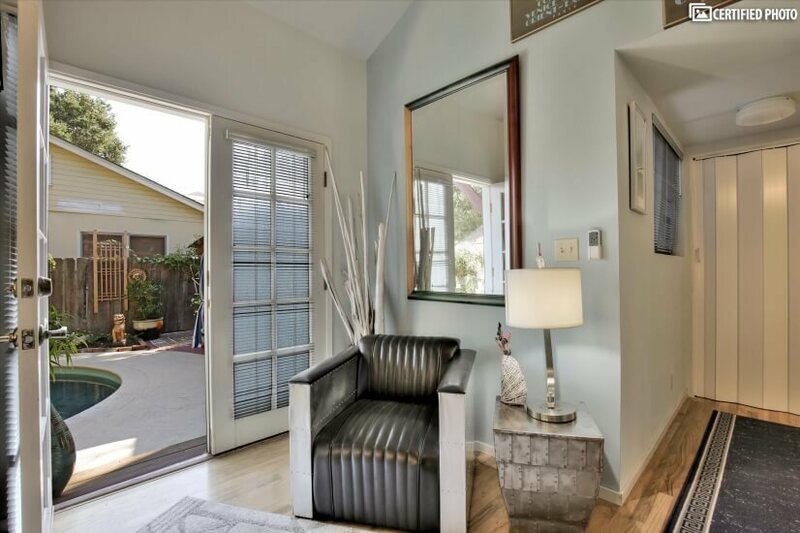 For example, this Silicon Valley furnished rental has an open floor plan on the lower level that incorporates a large and bright living room with entertainment system, a generously sized and modern kitchen and a full bath. 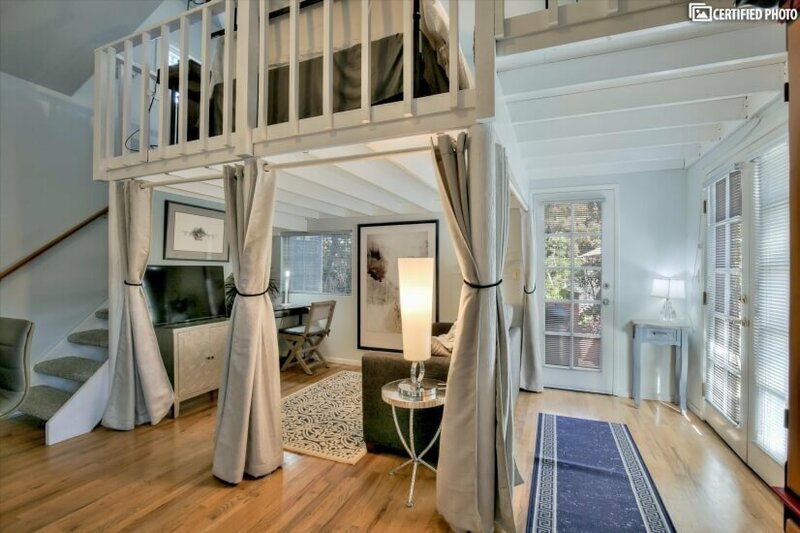 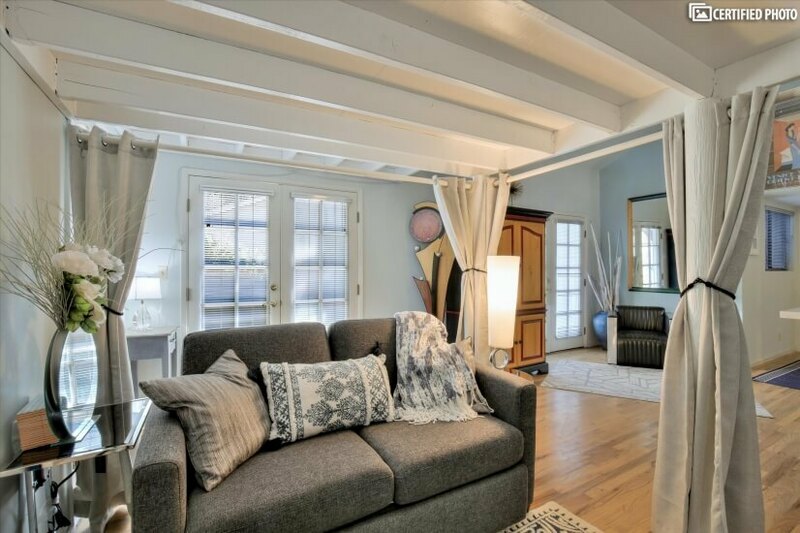 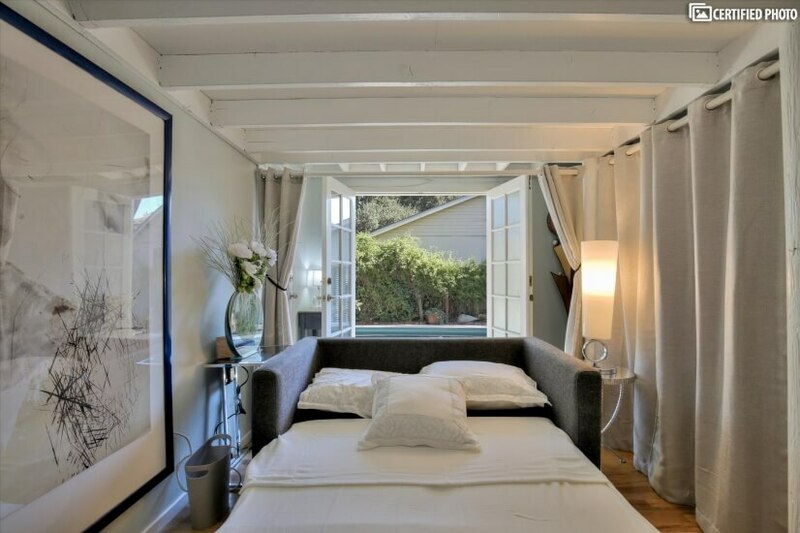 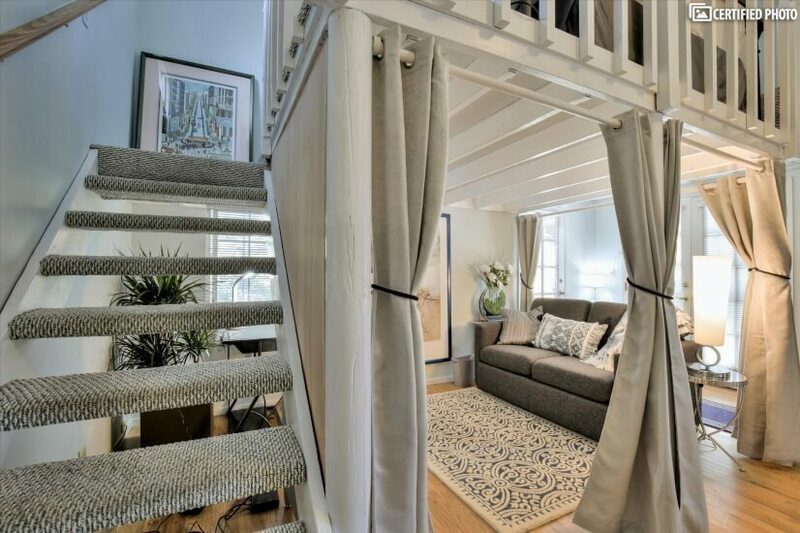 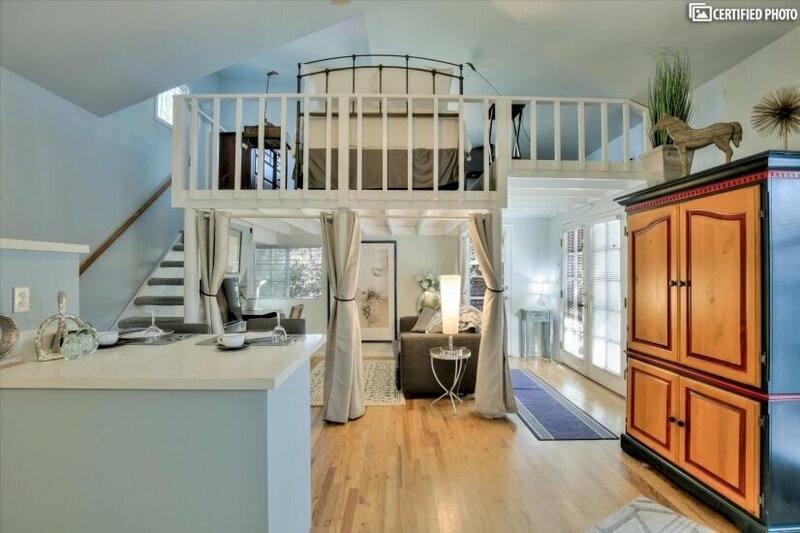 The living room converts to a double bedroom, and the gorgeous loft is a queen-sized suite. 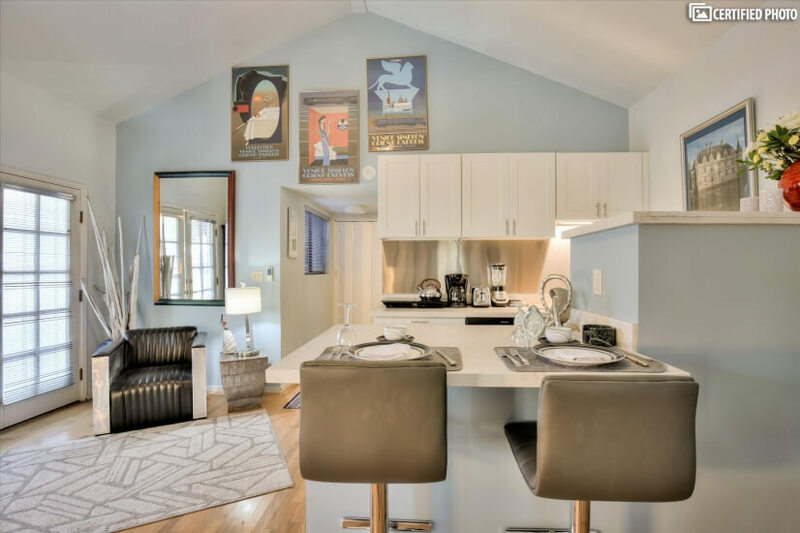 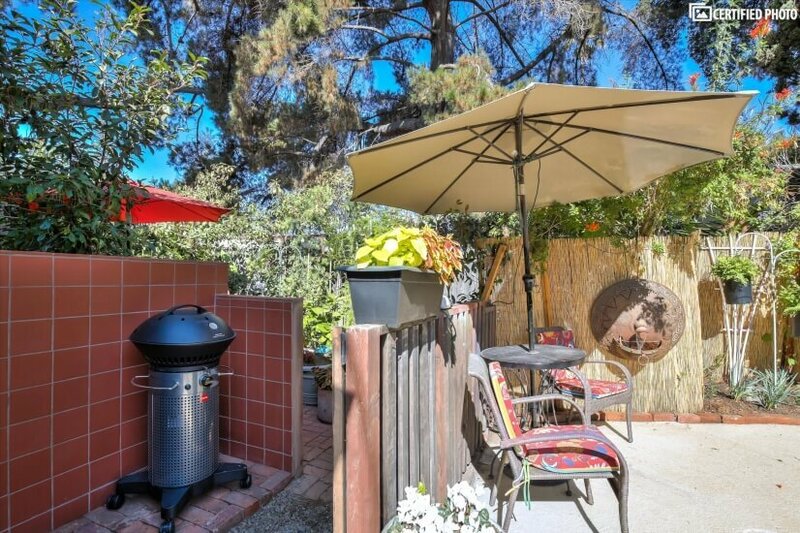 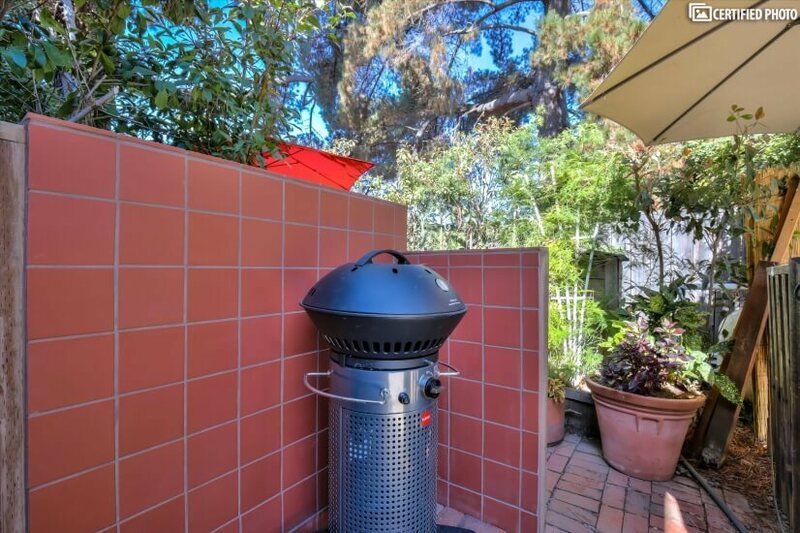 This Silicon Valley corporate housing is CHBO complete and includes a huge and private backyard terrace with barbecue area, pool house and swimming pool reserved exclusively for guests’ use throughout their stay. 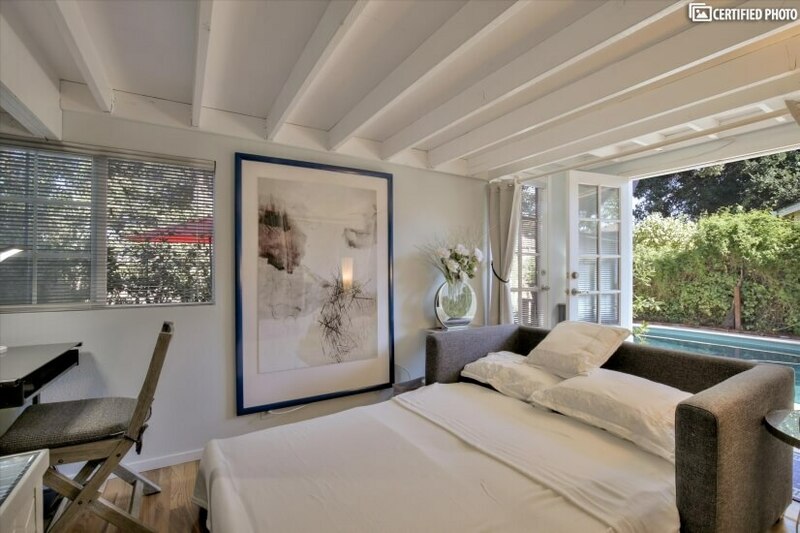 You may find yourself drawn to this wonderfully private space every morning and night as it has a cozy spot for al fresco dining and lounging, a premium barbecue and a fully-furnished, remarkably stylish cabana with lounge area. 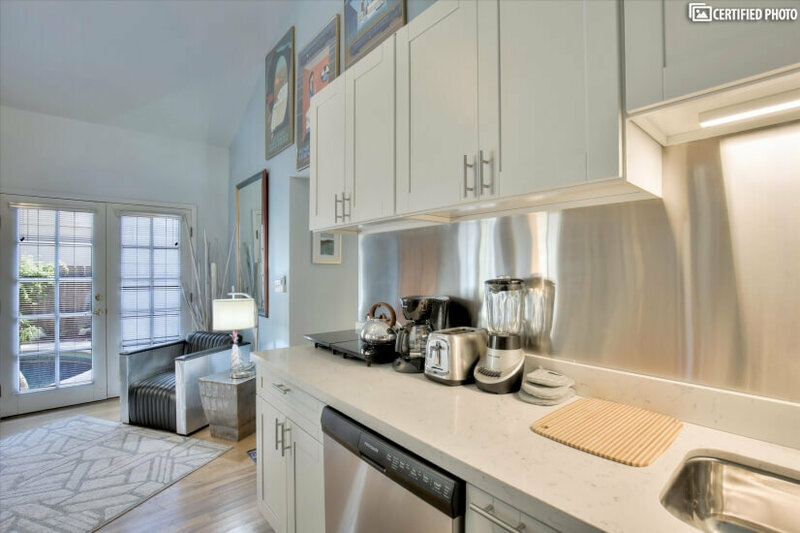 Hotel amenities abound in this amazing furnished rental that even includes laundry service for towels, robes and sheets weekly! 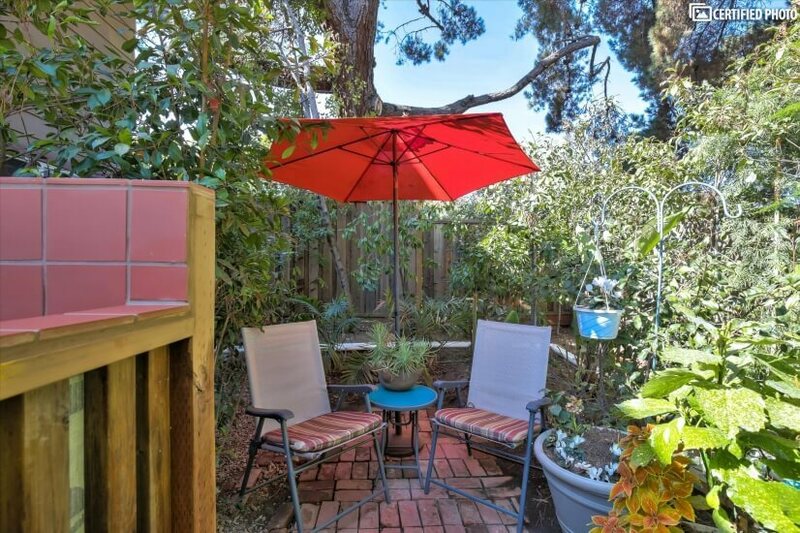 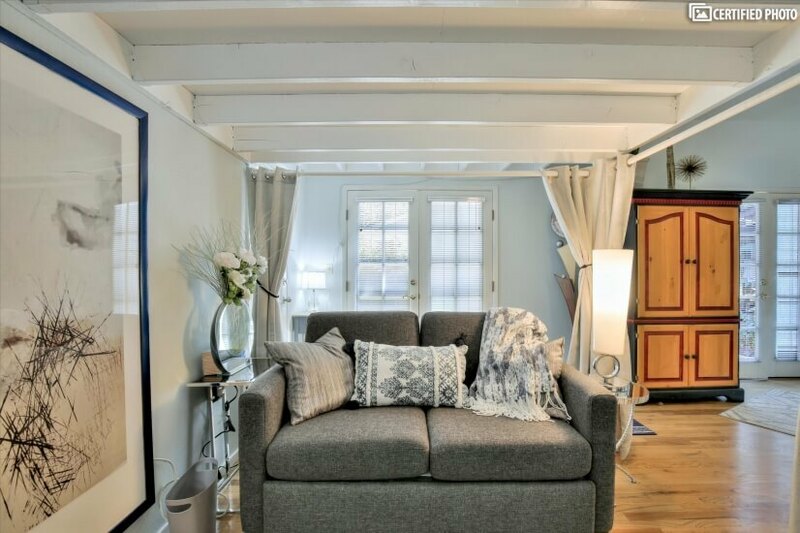 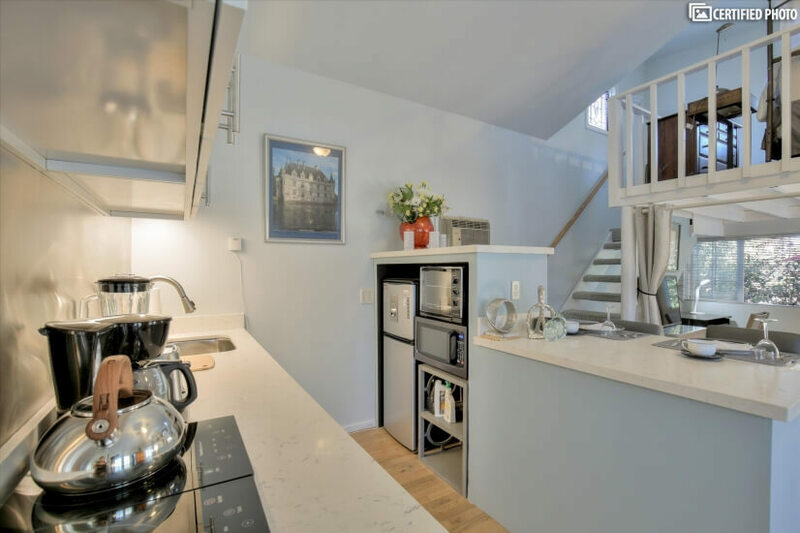 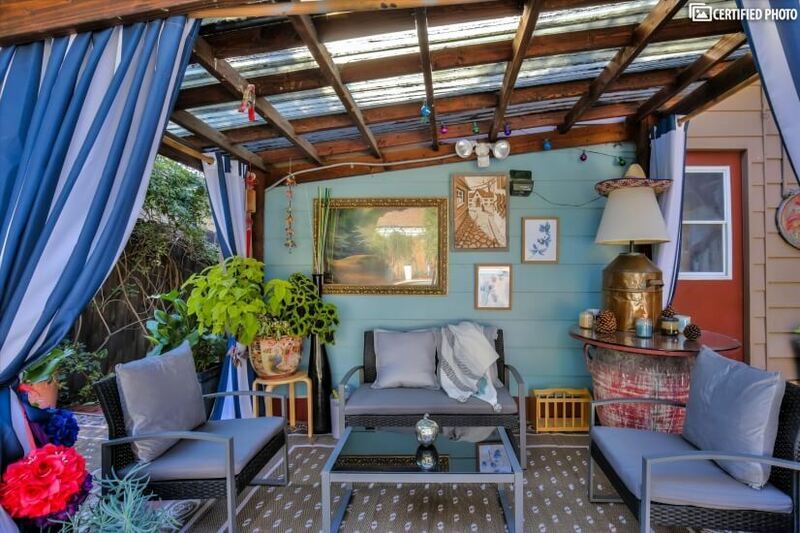 So, whether you are eager to book your stay for a long-term project, temporary assignment, relocation or lengthy visit to the region, this remarkable Silicon Valley furnished rental is one to consider. 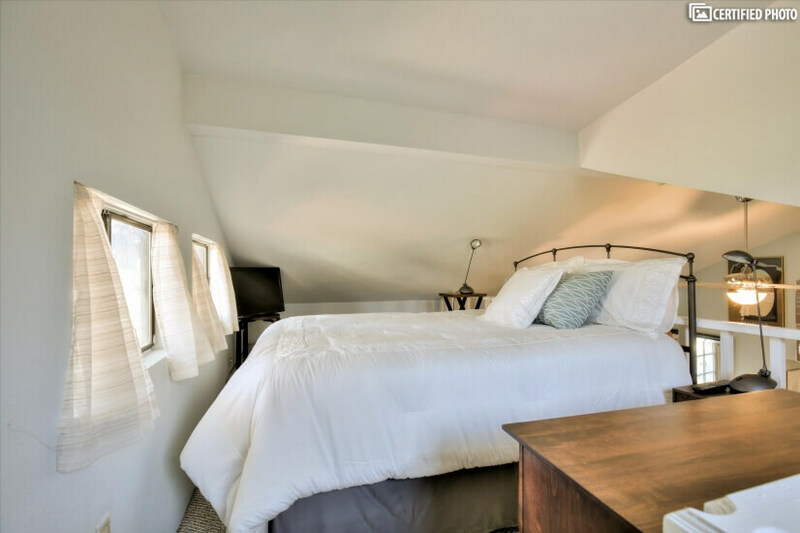 With a location so close to major employers and yet also an ideal spot for a greater exploration of the entire region, it offers you a home away from home, but also an exceptional collection of luxuries and comforts that will enhance your stay.